Mrs. West was born August 15, 1925, in Milbridge, ME, a daughter of Raymond and Florence (Burke) Prouty. She and her husband moved to Sterling in 1940, for work, then to the Whitinsville area in 1950. She worked at the Glavin Regional Center, in Shrewsbury, H.J.Theiler Corp., in Whitinsville, and later as a live in caretaker providing home health assistance until she retired . In 2012 she moved to Beaumont. She had a fondness for all animals, but in particular, dogs. 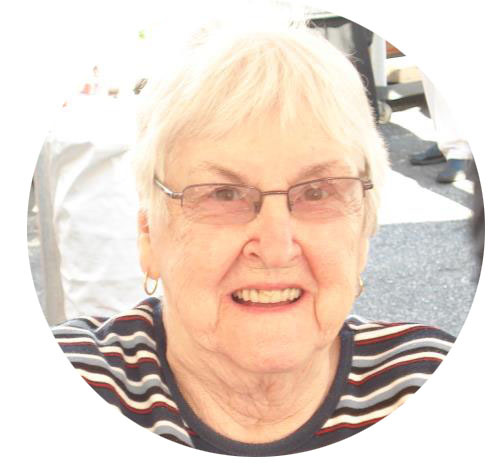 She loved to shop and would spend weekends going to yard sales and flea markets. She enjoyed keeping up with her friends and family by telephone. Mrs. West's Calling Hours are Monday, March 25 at Carr Funeral Home, from 9:30-11:15, followed by her Funeral at 11:30AM, at the Village Congregational Church, Church St,. Whitinsville. Burial will follow in Pine Grove Cemetery. In lieu of flowers, memorial donations may be made to a charity of one's choice.